Markham School of Dance has provided students with an exciting performance experience every year during its June recital. The annual staple of the dance school, the recital, conjures images of childhood for many. It’s a rite of passage for thousands of youngsters, a chance to shine in front of family and friends that they anticipate with excitement. A big part of the dance training process includes learning through performance. The experience helps build self-esteem, self-assurance, and contributes to a sense of confidence. Although performance opportunities can help prepare some students for a possible career in dance, they also contribute to children’s success in non-dance activities. That onstage experience can result in better in-school presentations, improved social skills, and strong interview skills for future college or job opportunities. The rehearsal process is a tremendous learning experience as well. It helps the children develop retention skills, and by working with their classmates on a group performance, they learn the positive aspects of working as a team to create the best end result. 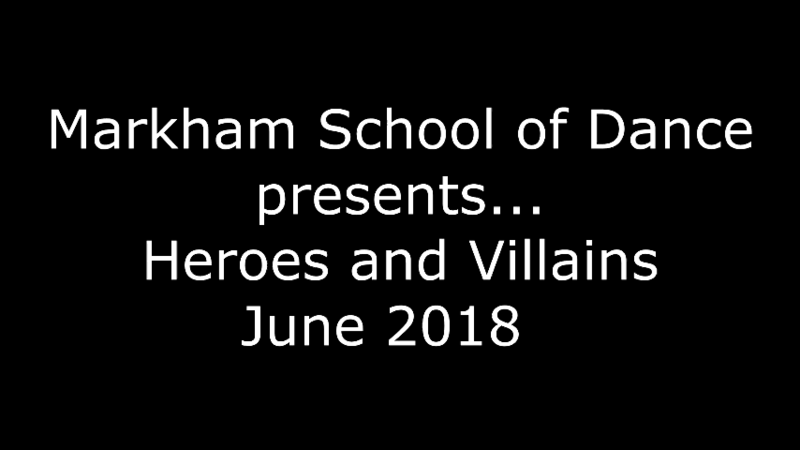 Our 2018 Recital was themed Heroes and Villains. Select from one of the videos to see our show. The Twinkle Stars is for ages 2-6 and the Heroes and Villains is for ages 6 and up. Our 2019 Recital is themed Fantasy and Reality.